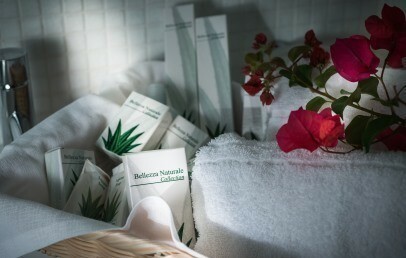 Located in the center of Marina di Ragusa, La Moresca Hotel is an ideal location to discover the southern Sicily. It is a vast and stunning area of natural beauty, art and culture. The little sea city consists of a vast area of historical and architectural sites, from Ragusa, Modica and Scigli till the oriented reserve of Pino d’Aleppo. 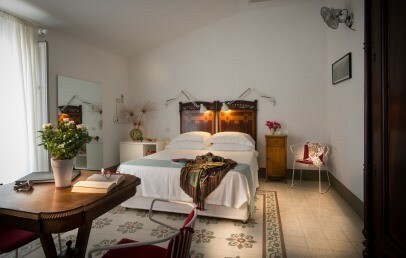 Close to the Iblea coast and near to the city centre, the sea, many typical restaurants and shopping streets: La Moresca Maison de Charme is a perfect combination for a relaxing vacation surrounded by the elegance and historical beauty of the Sicilian Baroque. In 1926, a Liberty-style villa was built to enjoy the beauty of Marina di Ragusa and become in some way, part of it. 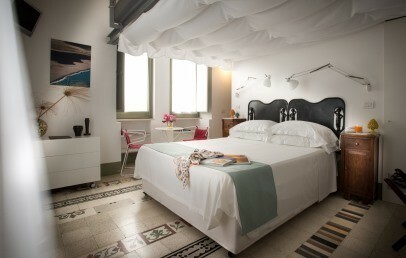 Today, La Moresca Hotel preserves the romantic charm of ancient time and even a pinch of transgression and modernity. A wise restoration work has in fact been able to integrate the original structure, its typical materials and architectural features, with contemporary design furniture, paintings, photographs and striking play of light. 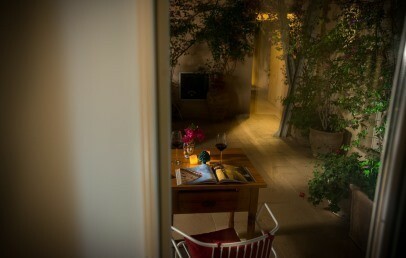 La Maison de Charme will surprise you for the hospitality exercised by the staff as work of art. 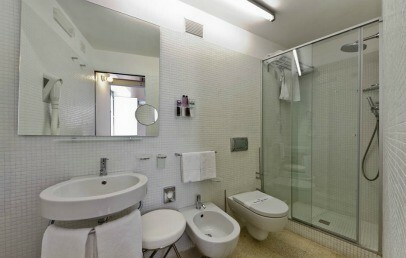 La Moresca consists of only 15 rooms. All are cosy and well bright, almost hidden among the manicured and flourishing courtyard. White and black are the colours that characterize them while designs furnishings and photographs are different in each rooms. Paintings and curtains create a comfortable and persuasive atmosphere. You may choose between two types of rooms, both equipped with the same amenities. Marina di Ragusa is a very popular tourist destination which fills with people during the warm spring. The white sandy beach stretches to the foot of a sixteenth-century tower and it is equipped with many services and recreational areas. You may discover the whole Ragusa coast till the amazing Modica and Scigli beaches. The hotel has decided to offer its guests only a rich and varied buffet breakfast with local dishes and regional products. What happens is that La Moresca is surrounded by typical restaurants and it will be a pity not taste a range of Sicily recipes, culinary delights and flavours. The staff is available to suggest he best chef of Ragusa. The hotel staff will be glad to give you tipps where to go and what to do in the surrounding and an Internet Point is available. On request are available a small sewing workshop, a babysitting and a laundry service. City tax is € 1,50 per person/overnight. These Superior double rooms are soundproofed, stylish and offer more comfort. 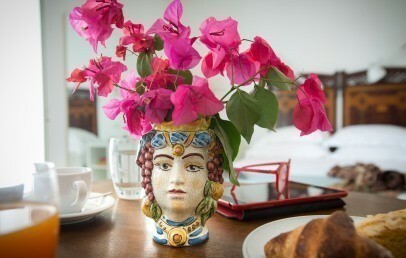 They are furnished with some Sicilian antique furniture. Dominating is white, alternating with photo pictures or paintings and dark antique pieces of furniture. An exclusive design in perfect harmony between ancient and modern. The bathroom has a shower, hair dryer. The rooms are located on either the ground or first floor. Most have views over the interior patio and have a window and a French door overlooking the patio. A staircase leads to the charming tower of the Maison de Charme La Moresca, where this nice room with mezzanine and private outdoor space is located. 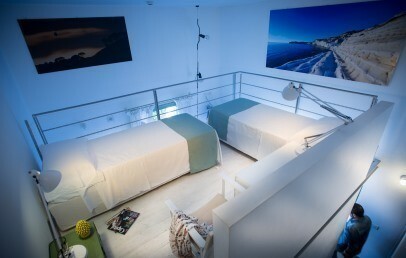 It can accommodate up to 4 people, thanks to the two additional single beds on the mezzanine. An exclusive design in perfect harmony between ancient and modern. Dominating is white, alternating with photo pictures or paintings and dark antique pieces of furniture. The bathroom has a shower, hair dryer. La Torre has a little terrace with panoramic view. 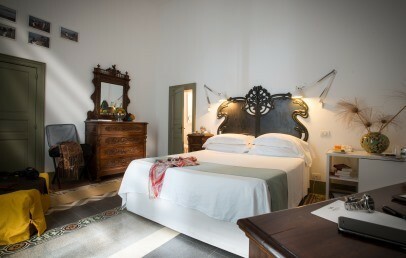 The double rooms are soundproofed, stylish and comfortable, furnished with some Sicilian antique furniture. Dominating is white, alternating with photo pictures or paintings and dark antique pieces of furniture. An exclusive design in perfect harmony between ancient and modern. The bathroom has a shower, hair dryer. The rooms are located on either the ground or first floor. Most have views over the interior patio. Only one has a balcony with street view and some have a French door overlooking the patio. Only for Charming customers: welcome drink!